What exactly are mediocre results in business? For most businesses, mediocrity is failing to achieve objectives and/or failing to achieve above-average success in their industry. The important question is why do some businesses rise to the top while others seem to stagnate? After all, some companies fall regardless of their brilliant, innovative business ideas. It’s tempting to blame the economy for failure and attribute success to luck or access to capital. However, plenty of businesses succeed in a “bad” economy, and others get their start with less than $1,000. While each business has a different story to tell, one common thread among successful businesses is they’re picky about the way they measure success. It seems like a small point, but how you measure success is critical. It might sound strange to say that how you measure success determines your success, but it does, and it’s an overlooked aspect of data analysis. 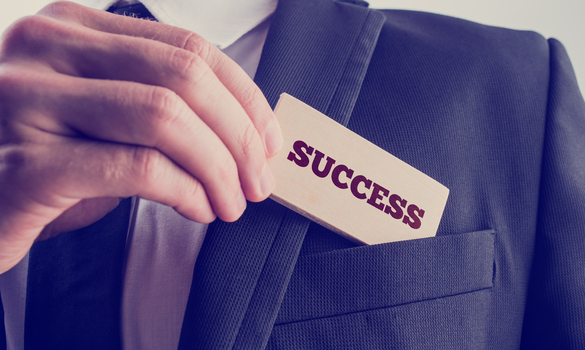 How you measure success is based on how you’ve defined success. The more specific your definition of success, the more specific your measurements will be. In other words, when you can pinpoint exactly what success looks like, you’ll implement the measurements necessary to know when you’re on track. As a result, you will be able to stay on track more easily. Specificity in what you measure increases the accuracy of the data you collect, which increases the accuracy of decisions. If you’re ready to leave mediocre results in the dust, change the way you measure success. It’s a common mistake to measure success by satisfaction. For instance, many companies pass out surveys asking new employees how satisfied they are with the training they received. Moreover, business owners create employee surveys to address both problems in training and within the workplace in general. Knowing an employee’s level of satisfaction won’t tell you if your training program is effective. Most efficient training programs aren’t well-liked, and what makes a training program likeable will probably make it less effective. One way to measure the efficacy of your training program is to record your training sessions and view them afterward. In this way, you can measure the results of your training program from a third-party perspective. Video recording your company’s training sessions not only helps new hires learn faster, but helps you fine-tune your training methods. This is easy to do with an application called VALT (Video Audio Learning Tool). VALT is a tool that allows multiple users to view, record, and manage events without IT skills. It’s used extensively in the medical field for medical simulations, and can be used in any field that utilizes active learning applications. When Facebook users share your post 100 times, it’s tempting to consider that a success. This is especially true for businesses that put a lot of money and effort into learning how to get more Facebook likes to improve their social media presence. However, thinking of social media shares as a success can lead you to make financial decisions that aren’t beneficial. For instance, you might decide to promote Facebook posts that receive a high number of shares, but if those shares don’t convert to sales or bring you qualified leads, it’s not worth the money. If your goal is to obtain views, shares, and comments, then of course those metrics indicate success. Just be cautious about the financial decisions you make based on social media engagement metrics. Say your company achieves all the top awards in your industry and brings in a cool $500 million per year. Are you successful? Perhaps you are by financial definitions, but what about your impact on the world? Not all businesses exist to make as much money as possible. Some businesses exist to make a difference in the world and simply use money as a means to achieve their goals. Their success can’t be measured by yearly revenue or net worth. What is your company’s ultimate goal? If you exist to make an impact in your community or within a group of people, measure your success by those standards. Results are intricately tied to well-defined goals and objectives. Achieving success requires defining clear goals and refining the way you measure results. Success is always within reach when you know exactly where you are in relation to where you want to be.